Despite the number of new rewards-earning credit cards to hit the market in recent years, the Chase Sapphire Preferred® Card retains the top spot as our go-to credit card when we're asked for recommendations. Sporting a lucrative signup bonus and industry-leading benefits, you can bank a substantial balance of valuable Ultimate Rewards points right from the word go. Let’s review some of the highlights of this popular card, and find out why so many points and miles fans have it in their wallet. The Sapphire Preferred offers one of the most valuable signup bonuses available. You'll earn 60,000 bonus points after you spend $4,000 on purchases in the first 3 months from account opening. That's $750 toward travel when you redeem through Chase Ultimate Rewards®, or potentially much more when transferred to Chase travel partners. Earn Bonus Points on Travel & Dining! The card earns 2X points on travel and dining at restaurants & 1 point per dollar spent on all other purchases worldwide. You can earn an unlimited number of points, and they do not expire as long as you keep your Sapphire Preferred card open. The Chase Sapphire Preferred® Card also comes with some solid travel perks. Those perks include primary CDW insurance on car rentals, trip cancellation/interruption insurance, and lost luggage reimbursement. Other benefits include no foreign transaction fees, smart chip technology, dedicated customer service line, extended warranty, and purchase protection. The Sapphire Preferred is also a Visa Signature card, which comes with additional savings on movies, restaurants, hotel stays, experiences, and more. When you use the Sapphire Preferred card to build a balance of Ultimate Rewards points, you can redeem them through the Chase Ultimate Rewards portal and get a discount of 20% on the redemption cost. This 20% discount gives you a value of 1.25 cents per point. You can use the points for a number of different airlines, cruises, car rentals, and hotels, and there are no blackout dates. Members with more knowledge of Ultimate Rewards can redeem their points for even higher value by transferring their Ultimate Rewards points to certain airline frequent flyer & hotel partner programs. 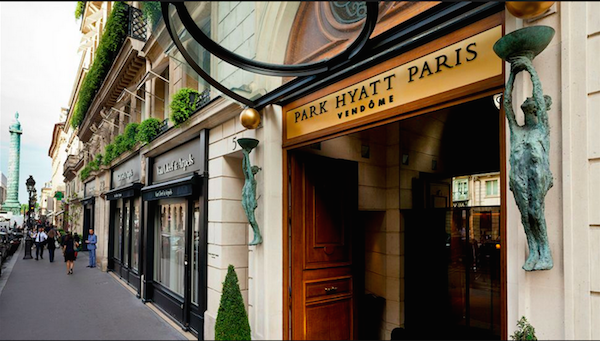 An example of a great redemption would be transferring 30,000 UR points out to the Hyatt program for a night at the Park Hyatt Vendome in Paris. Standard rooms in this category 7 Hyatt property run around $1,000 a night! All Ultimate Rewards points transferred to travel partners are instant and at a 1:1 ratio. Using the Ultimate Rewards portal does give you several other redemption options. You can redeem gift cards at one cent per point, at a wide variety of restaurants and retailers. You can also earn Ultimate Rewards points by shopping online through their online shopping portal. Shifting your Ultimate Rewards points to a travel partner is considered the best option to maximize the value of your points, because you can redeem them for exponentially higher value, depending on which partner you opt to travel with. However, you can’t transfer Ultimate Rewards earned from the two Freedom cards, or either of the no annual fee Ink cards to travel partners unless you also hold a Sapphire Preferred, Sapphire Reserve, or Ink Preferred. The signup bonus on the Sapphire Preferred is a fantastic starting point, but there is so much more to this card. 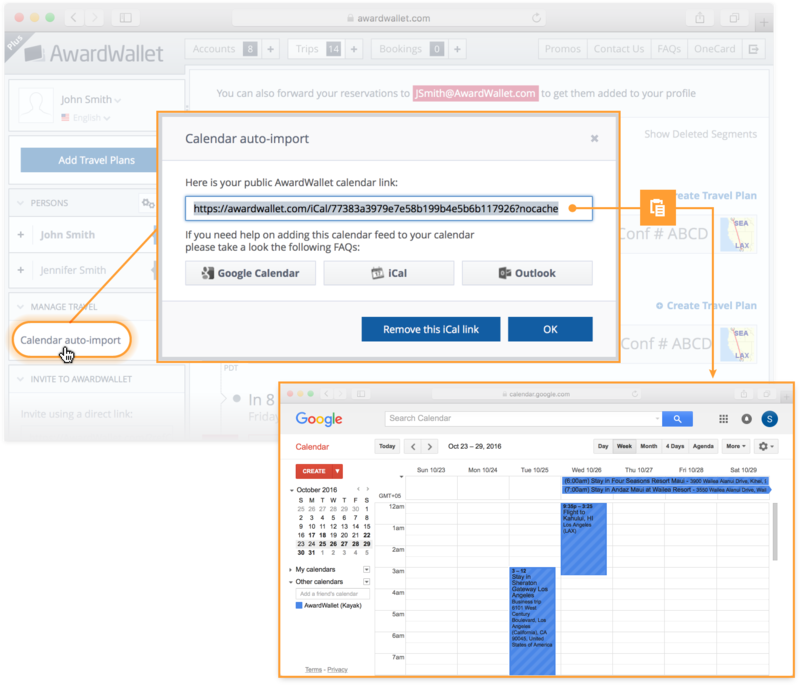 The 20% bonus on travel booked through the Ultimate Rewards portal, as well as the flexibility of their many top travel partners, make these points extremely valuable and highly regarded by award travel fans. The only drawback with the current offer is that the annual fee of $95 isn't waived for the first year, but the excellent welcome bonus more than makes up for the additional cost. 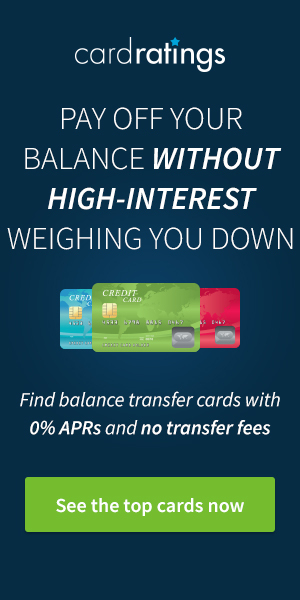 If you are looking for a card that has a large bonus and offers great flexibility and value, you should strongly consider the Chase Sapphire Preferred® Card. Most people would agree that the high value is certainly worth it in the long run. This card is subject to the Chase 5/24 policy. I’m waiting to bite the bullet on either the CSP or CSR in case a better signon bonus comes. This 60k offer for the CSP ties the highest ever public offer. (Years ago I got 60k for the CSP, but the AF was $125 instead of $95.) At any rate, who knows if we’ll see 60k in future, so if it was me, I’d jump on this one. I read that this is the new permanent offer, or at a minimum there is no end date in sight. Yeah it won’t happen again. Chase paid out a lot more than they anticipated with that promotion. Appreciate the info. Hope the bonus is still there when I’m past the 5/24 rule. How long do you have? As far as anyone knows, this is permanent and is the new standard for CSP. If I already have the Chase Sapphire Reserve, I’m ineligible to receive this sign-up bonus, correct? Correct. Can only receive a Sapphire bonus if you don’t currently hold a Sapphire card and haven’t received a bonus in the previous 48 months. A bonus on either of the Sapphire cards in the last 48 months or just the one you are trying to apply for? Unfortunately, the 48 month rule applies to the bonus on any Sapphire card. Full T&C available if you click “offer details” on the Chase application page. Waiting to go down below 5/24 to get this card with the 60K sign up bonus. Hopefully the bonus won’t change this year. It’s a better signup bonus than normal for sure however you won’t be missing that much if you don’t get it. Thanks for the information! Great stuff! yesterday telling them I applied for the 50k promo in January of this year and if it was possible for them to match to the new 60k promo. They said I was eligible for the match and that I would see an additional 10,000 points in 1-2 statements. When I logged back into my account, the 10,000 points were already added to my account. Way to go! Glad your (relatively minimal) efforts paid off so handsomely. A bit surprised they treated you so well and honored the second offer, but kudos to Chase here. That’s really impressive. You have to not expect it but this just solidifies the adage of it doesn’t hurt to ask. Agree it’s a good card, but I like my CSR and the 100K points I got with it. I like the better benefits. Do you find the value is offset by the $75/person fee for additional cardholders? I have four additional cards so that would be $300 for me so I use CSP instead. Just add the card to Google/Samsung/Ape/Chase Pay. Your name doesn’t even show up so retailers will never know it’s not your card. Granted this means no Priority Pass for that person but there are so many cards that offer it you could get a complementary card with minimal overlapping benefits. I have CSR and I got my wife the Aspire so we each have our own Priority Pass. Alas, I already have a sapphire product so I won’t get the bonus. You can still get it if it’s two years since the original card was issued. Alternatively, have a spouse sign up and combine accounts. No longer correct. New Sapphire rules are 48 months from the last time you received a bonus. Any idea how long this Card Offer is valid for? I have the CFU 3x UR promotion valid until 4/22 and I wanted to maximize that card until then and then sign up for this card. Hey Mike, as far as we know, there isn’t an end date that has been announced. This also isn’t being listed as a “limited time offer” which is a good sign that this one may be around for a while. No way to be sure, but indications seem good. That’s the point though. Banks are losing money on churners and are therefore doing things to discourage the behavior like AmEx’s once per lifetime rule. Great offer, hard to say no to resist! Thanks for this updated review. I need to get back on the Chase credit card bandwagon. CSR was my first card. It really depends on your personal travel habits. If you travel a lot or through airports with lounges, it’s a no-brainer to get the CSR. It’s $55 more than the CSP, has better benefits, comes with Priority Pass, and a Global Entry credit. May do this for the wife, since she doesn’t hold the CSR. That’s my plan. I have the CSR and want her to get the CSP very soon. Great card, I wish her sign up bonus was a little mor generous but that aside I like the look of the benefits. I’m beginning to think the CSP may make more sense for me rather than the CSR. Has a post been done here that compares the two? If not, I’d love to see y’all’s take on both cards and any reasons someone might want to go with the CSP instead. This one covers insurance and purchase benefits that come with each card. These are great posts, Erik. The level of detail and description y’all provide is second to none. Thank you! The CSR is only $55 more than the CSP yet you get Priority Pass, Global entry, 50% more points earned, 20% more value when redeemed for travel (unless you transfer to partners – then they’re equal), better insurance benefits, and more. I think the $55 is worth it but I know it won’t be for everyone. Yes, if you don’t already have PP/Global Entry, I’d say this is worth the price of admission alone for even occasional international travelers. Yeah I don’t travel often but I’ve made huge use out of Priority Pass as well well as the travel portal (I’m not out for first class experiences but rather cutting as many expenses as I can and getting free economy vacations). I still check if it makes sense to transfer but for me getting 4.5% effective cash back by using the travel portal is perfectly fine with me. I have had the CSP for more years than I can remember. The card sits in my wallet but gets little use during the course of a month. The reason? With so many great offers out there from other card companies, why bother waiting to get by Chase’s 5/24 rule only to collect 60K UR points? Since December last year I have been approved by both Barclays and Citi for a total of 125K AA miles, 75K Bonvoy points with the new AA card(no language email offer ), 64K Choice Hotel points, again from Barclay’s and upgraded my Hilton HH card to the Aspire card for another 150K HH points. 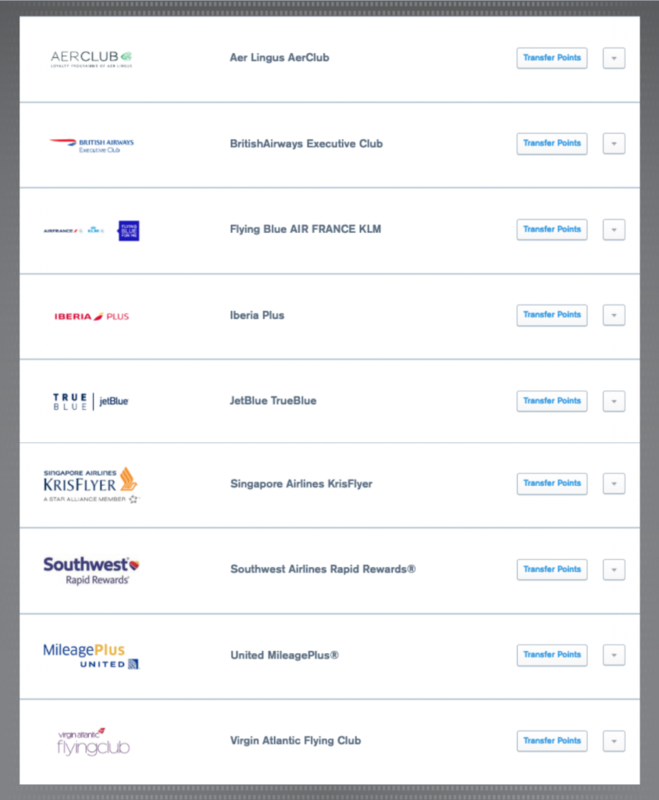 I also did the no bonus point, annual fee waived AMEX Ameriprise Platinum card (no longer available) and scored $200.00 worth of AA gift cards in December and again in January plus Delta lounge access for a year. AMEX also sent me a Delta Gold card offer back in November without the once per lifetime language and I received the miles for that offer too. Meanwhile, Chase plays it’s 5/24 rule and gets shut out from my $15-20K spending a month. However, if you are new to the hobby you should definitely be looking at the vast selection of Chase cards. Get the points and miles from Chase first and than start applications with the other companies. The ultimate goal from credit card signup bonus’s is achieving travel experiences at little or no cost. Chase does not have a monopoly in this endeavor. Has anyone with 5+/24 gotten pre-approved at the branch and then approved for either CSP or CSR recently? This was the card that started the points and miles game for me. Although I have graduated to the Reserve, I agree that this card is the best first step into this hobby. Nice to see an increased bonus — an extra 10 000 points are always useful. Same here. I have always been a cashback person and then got the CSR and it’s been a game changer. I’m still not too advanced yet but I’m gathering knowledge weekly. This is one of the best cards for sure. I love all the possibilities of transfer partners. This card has been around for many years, and suddenly I’m seeing several blogs pushing this card, even though 50,000 mile bonus signups haven’t been uncommon. I know that this is a higher signup bonus, but this card hasn’t been really pushed for a really long time. Has Chase increased referral bonuses as well? Hey Lee, thanks for the feedback. Timing applications when a bonus is at a relative high can be a powerful strategy, especially for those that don’t want to open a lot of cards. A lot of the extra attention is because this card has been at 50k for so long, and we didn’t really expect a better bonus. Often when the bonus goes up, the commissions go down. I just read that referral bonuses are now at 15,000 points. Nice info and card but my partner doesn’t like them due to banking scandal. I have the CSR and like the card. Maybe I should spring for a Preferred now with its sign up bonus? Hey Benjamin, unfortunately you can’t have both cards at the same time. I love these blog posts. You always learn something new. I did not know Ultimate Rewards Points can be transferred to JetBlue. this has made my day – And my pocket book! Thanks! Looks like its time to sign up. I’ve recently seeing a lot of push again on miles and points blogs about “reviewing” the CSP and i’m not sure why its being pushed so much. Sure its a solid card and WAS a pioneer at one time, but that’s not the case anymore. The ink business preferred itself seems to be an equivalent card for the same price point and same issuer. Ink Preferred requires you prove business income to apply. CSP still hands down the best beginners card for Ultimate Rewards. I’ve been waiting for the best Chase offer. I guess this is it? Best we’ve seen in a long time. This is the best starting travel credit card to get! Still maybe the overall best card of all time!! I’m debating if it’s worth cancelling my CSR for the new SUB. How long have you had your CSR? You have to wait four years from receipt of your last Sapphire signup bonus to receive another Sapphire bonus. I was waiting for this higher bonus offer! The Chase Sapphire cards have primary insurance for rental cars which is where the real value is. I’ve used this benefit when my car lost it’s side view mirror in Costa Rica. Agreed. The Amex platinum and gold card are limited to US locations so their use abroad is severely limited which puts a damper on it being a good travel card. CSR and to a much lesser extent the CSP are great travel cards. This card used to be my go-to card, but with my spending pattern and the recent changes to the Citi Prestige, that has now become my most used card. I hate to give up the UR point earning, but I am getting some elsewhere. Love that they will expedite the card after applying. Chase is great at getting the card to you within 3 business days, and sometimes sooner. Their 3rd party cards, takes a phone call, and a couple more days. But still better than most. I love this card! I build my points with it and the Freedom and Freedom Unlimited. It has helped with some trips for my dad traveling. It will be helping to surprise my hubby with a trip to Sydney. Also, a trip for me and my kids later. There are those National Parks to see and needs to see things in other countries. Using all the cards my points grow quicker, of course, making sure I max out each category they offer more points for. I’ve had the card for a couple years. The priority pass comes in handy all the time and for what really amounts to a $150 annual fee, it really is a great card. Just want to make sure folks know the Priority Pass comes with the Chase Sapphire Reserve card, not the Sapphire Preferred. Thanks for commenting! What was the best sing-up bonus of this card? I think the max has been 60K for offers available to the general public. Anyone remember a better offer on the Sapphire Preferred? I’ve heard people mention 80k but that may have been something like the CSR’s 100k launch. I don’t know how old the CSP is though. Do you expect a higher bonus than 60k in the future? Seems unlikely. Anything is possible, but 60K is probably the max for a public offer. Has anyone used the points for apple purchases from chase? I am not sure if the redemption rate changed. That’s the absolute worst redemption you can do (tied with Amazm). If you’re not going to transfer or use through the travel portal, if you redeem them as cash, you can at least buy an Apple item and get credit card points with the purchase rather than nothing when using points. Thanks so much for keeping us informed on these deals!!! Great Review and Excellent Card!!! I’ve been debating getting this card for a long time. Thanks for the updates and explanation of the rewards! Does anyone know how long will this last ? I am under 5/24 only by June 1st. Hope it will last until then. Primary Auto Insurance and Travel coverages makes it worthwhile for me, still enabling transfer eligibility to Hyatt/Southwest. Wish it had some Priority access too. i had a good experience using Chase sapphire for primary insurance on a rental car in Portugal. Had a $400 bill from a scratch. While the rental company was not helpful, i was able to do basically everything online or over the phone with chase after that, and was reimbursed a few months later. 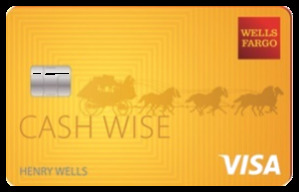 Just make sure you decline the CDW and pay with the Chase card.